This exercise emphasizes balance coordination for seniors with one simple tool and requiring very little space. As a PTA working in a nursing home, I decided to take Think-EEZ to work and see how useful they would be in the rehab world for balance and coordination with seniors. So this is about my first use. 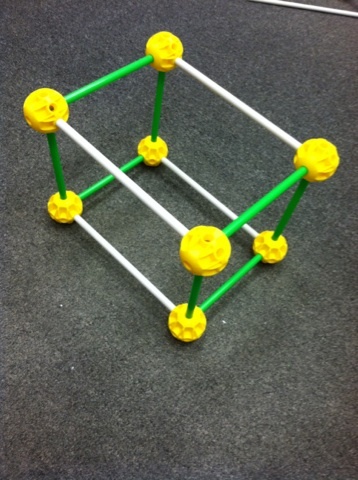 I made a small cube with the Think-EEZ using the shortest rod available. The construction of the cube was very easy taking less than 3 mins. The intent of the cube was to increase foot clearance, foot eye coordination and balance of a higher level patient. The patient was to stand on the right foot and place the left foot inside the cube and then take foot out of cube. The patient was able to complete the task a few time. 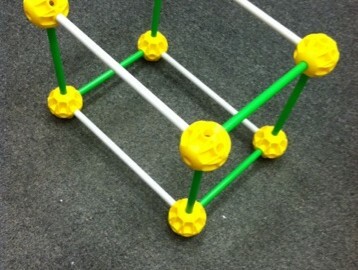 The cube was stable after construction, but the plastic balls attached to the cube easily slid on floor, so to prevent risk preform on carpet or attach to hard floor with masking tape.